More and more surgical departments (and departments of all medical disciplines) are realizing the value of Twitter and other social media to build their reputation, promote the treatment offerings and research of their department, and connect with potential patients, residents, and faculty. Given the recency of social media, particularly as a critical component of a department’s public presence, there is much uncertainty and limited research to guide best practices. 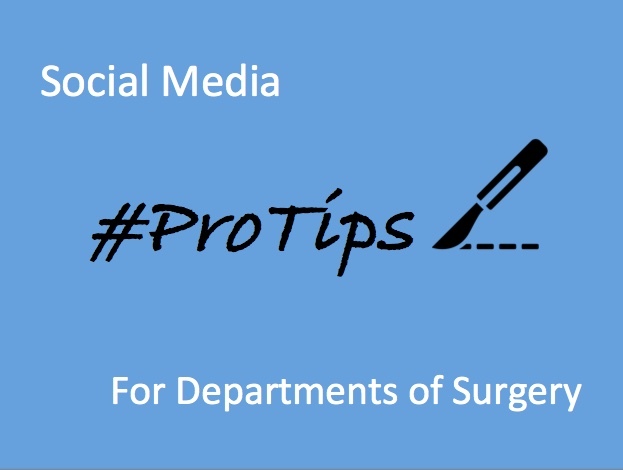 The tips and resources shared here are based on my presentation at the 2018 Association of Program Directors in Surgery (APDS) Surgical Education Week. Just as with in person interactions, niceness, gratitude, and positivity go a long way. The book Likeable Social Media by David Kerpin offers a useful pyramid representing the building blocks of a likeable business on social media. It should come as no surprise these qualities are a recipe for successful departmental social media accounts as they also align with the characteristics of a kind, empathetic, and impactful physician. Vikolian et al. found that tweets containing educational content2 generated more engagement than tweets with promotional content. Their article also details their use of a Twitter journal club to compliment their traditional in-person journal club, providing a unique opportunity for residents to serve as moderators. Lamb et al. at the University of Connecticut used Twitter to disseminate ABSITE questions, significantly improving ABSITE improvement compared to those who did not participate.3 Such efforts strengthens resident learning and contribute to program branding and international influence. Twitter has an under-utilized list function that allows accounts to create multiple lists of users that can be viewed and followed by other users. These lists are an effective tool to showcase faculty, residents, and alumni of one’s department. For example, @JEFFsurgery has designated lists for all three. Thus, with just a few clicks, prospective faculty, trainees, and patients can see abbreviated profiles and easily follow of all users in the list. Note that lists appear more polished and welcoming when all users have a photo and completed profile as seen here. When users search for, or click on a hyperlinked hashtag, they are shown tweets including that hashtag, regardless of whether they follow the associated accounts. Thus hashtags are a powerful way to expand one's audience. Useful hashtags in surgery include #SurgTweeting for tweets of general interest to surgeons; specialty-specific hashtags such as #plasticsurgery and #colorectalsurgery; disease-specific hashtags; education-oriented hashtags including #MedEd, #SurgEd, and #FOAMsurg (“free, open-access medical education” in surgery); and #ILookLikeASurgeon for tweets highlighting gender equity, diversity, and humanism in surgery. Finally most surgical conferences have a designated hashtag. Since the advent of social media, many have worried about physician professionalism and the potential for violation of patient confidentiality. It turns out that 1) physicians are as capable of conducting themselves professionally online as they are offline and 2) physicians have much to discuss without the inclusion of protected health information.4 That said, common sense and courtesy are essential. My advice is to consider whether something would be appropriate to share on a crowded hospital elevator. If not, it does not belong on social media. 2. Nikolian VC, Barrett M, Valbuena VS, et al. 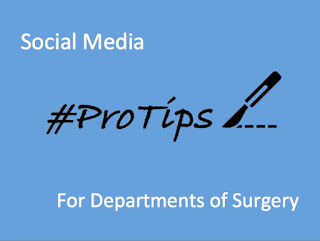 Educational content and the use of social media at US departments of surgery. Surgery. 2018;163(2):467-471. 3. Lamb LC, DiFiori MM, Jayaraman V, Shames BD, Feeney JM. Gamified Twitter Microblogging to Support Resident Preparation for the American Board of Surgery In-Service Training Examination. J Surg Educ. 2017;74(6):986-991. Since the inception of #ILookLikeASurgeon in 2015, many of us have taken great pride in the positivity of the movement. It is with great sadness that I share the article below, written by an individual* in the #ILookLikeASurgeon community, detailing how a single individual used the movement to harass and manipulate women surgeons for ulterior motives we may never fully understand. Per request of the author, this blog post has been deleted. I apologize for the inconvenience and hope you understand. The original post listed an email account that is no longer being managed. If you would like further information, feel free to contact me at @LoggheMD. Surgical research excites me. My pursuit of a career in academic surgery is inspired by a desire to better meet the needs of my patients, a love for lifelong learning, and inspiring and supportive mentors. Over the course of my career, the American College of Surgeons has fueled this passion through research opportunities, educational conferences, and access to world class mentorship. I am excited to share my passion for surgical research and the American College of Surgeons with like-minded residents and junior faculty as the Surgical Research Committee Liaison for the American College of Surgeons Resident and Associate Society (ACS-RAS). Initially, my top priority is connecting with residents, fellows, and junior faculty to better understand how the American College of Surgeons can support them in surgical research. 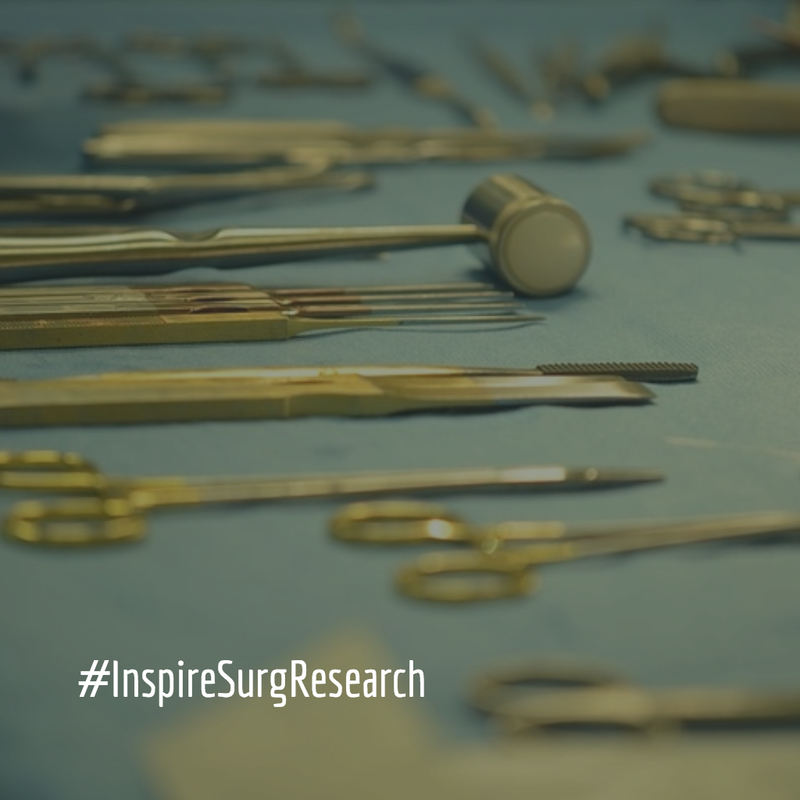 The Surgical Research Committee (SRC) is a standing committee of the ACS that focuses on the progress of academic surgery and the funding, content, and direction of surgical research. The SRC wants to design and redesign research and educational programs to meet the needs of the RAS-ACS membership in addition to that of Fellows of the ACS. To do so, the SRC needs the input of residents, fellows, and junior faculty. Given the ease of social media for public dialogue, I would like to engage in an ongoing #InspireSurgResearch Twitter dialogue. Please use the hashtag to share how the ACS can serve you better in promoting and sustaining academic surgical research. I look forward to connecting with you via Twitter! General surgery resident interested in the intersections of surgery, health, healing and technology. #ILookLikeASurgeon: We can do it!!! #ILookLikeASurgeon: Unraveling the myths and stereotypes of the "surgeon personality"
Copyright © 2015 by Heather Logghe, MD. Simple theme. Theme images by gaffera. Powered by Blogger.